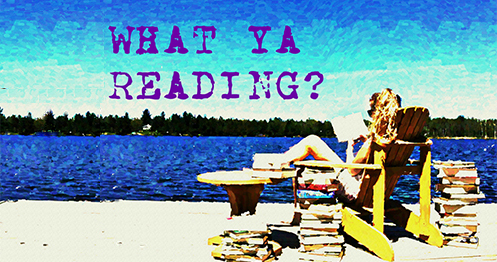 Matched | What YA Reading? In the Society, Officials decide. Who you love. Where you work. When you die. Cassia has always trusted their choices. It’s hardly any price to pay for a long life, the perfect job, the ideal mate. So when her best friend appears on the Matching screen, Cassia knows with complete certainty that he is the one… until she sees another face flash for an instant before the screen fades to black. Now Cassia is faced with impossible choices, between the only life she’s ever known and a path no one else has ever dared follow–between perfection and passion. Matched is a story for right now and story-telling with the resonance of a classic. Cassia Reyes lives in a world where everything is perfect and everyone is happy. 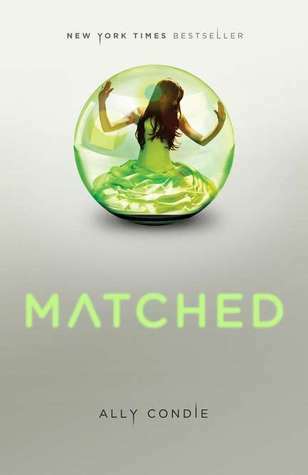 But when authority makes a mistake and her perfect world is turned upside-down, Cassia begins to question her Society. Can there be love without choice, trust without knowledge, meaning in predetermined life, or acceptance when all causes and signs of rebellion are smothered and hidden? As Cassia explores falling in love with the wrong words, the wrong ideas and the wrong person, you will begin to ask yourself: is it better to live in a perfect world, or a free one? And I love dystopians that make you question yourself and your beliefs. However, I do have some issues with Matched. First up, the world building. Condie’s world is a forced utopia that is built marvelously. I am quite fond of the rules of the Society and justifications for them, and often found myself marking off pages so I would always remember the poetic snippets of thoughts that made me gape. Nevertheless, I found that Condie practically copy/pasted her world from that of The Giver (by Lois Lowry). So many aspects of the Society in Matched, such as the emotion-suppressing pills, the euthanasia, the job assignments and the regulation of children are one and the same as those in The Giver. I’m conflicted because, as a huge fan of dystopians, I recognize that some utopian worlds will be similar. I just feel that those of Matched and The Giver are a little too similar. Moving on to the love triangle. First of all, there’s Xander, who’s always been Cassia’s best friend and is your typical nice, blond-haired, blue-eyed boy next door. And there Ky, the mysterious, brooding, hurt guy who’s always passed under Cassia’s radar. Does anyone else find that to be a little stereotypical? Other than the typicality, though, I was glad to find that the characters, especially Ky, have depth. I was reeled in by Ky’s past and am excited to find out more about him. Another character that I loved was Cassia’s grandfather. He was a wise, self-deprecating old man who, I was astounded to discover, bared the weight of many secrets. Honestly, he was my favourite part of Matched. And just because I can’t resist, here is a teaser. These are quite possibly my favourite sentences in Matched, not because of what they say, but because of what they mean. Life changing. “My face looks back at me, distorted by the curve of the compact’s surface, the way it was at the Match Banquet. Then, the question I asked myself was: Do I look pretty? My final declaration: 3.6 stars. A great read if you haven’t read The Giver, and a good read if you have.